I love it that Irish American newspapers routinely published lists of all arriving passengers from Ireland. 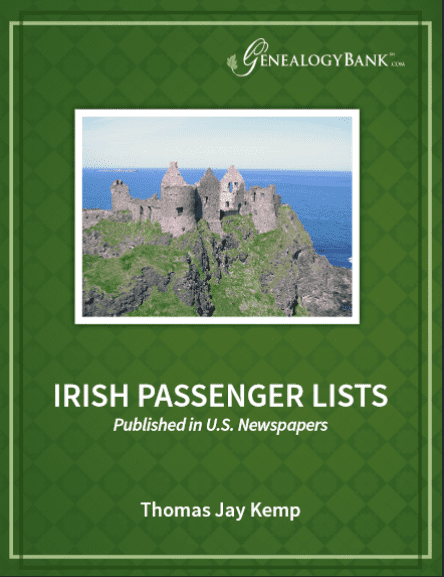 These lists gave the names of the passengers, where they were from in Ireland, and where their destination was in the United States – information that is not in the federal passenger lists. In this example, the newspaper published the lists of passengers from two ships that arrived that week. There is no other source for this information. These are the only passenger lists that include the names, home towns and destinations for arriving Irish immigrants. It is an essential tool for Irish American genealogists. 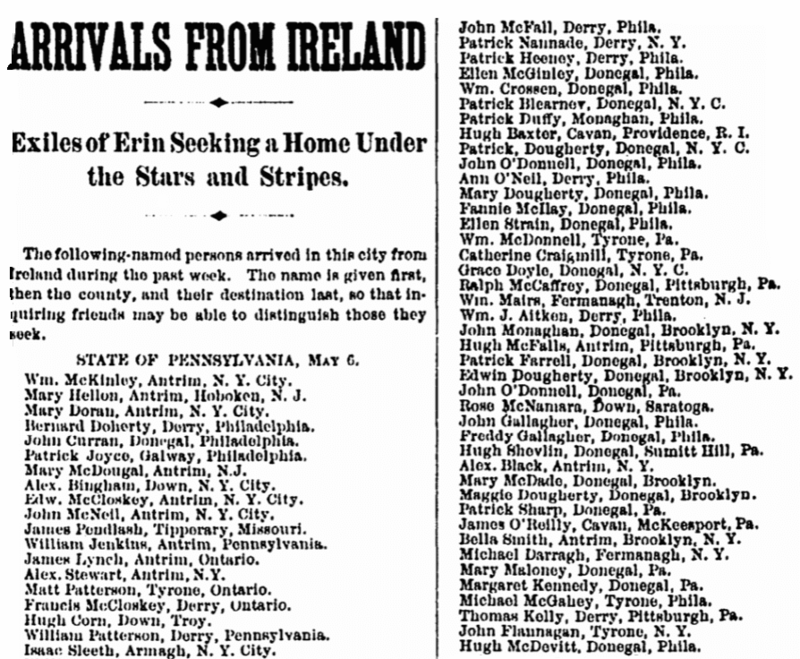 There are more than 1 million Irish American newspaper articles in GenealogyBank that help document where in Ireland our ancestors were born – including thousands of published passenger lists. To give you an idea of the scope of these records, here is a free eBook providing an index and extract to the arrival records of over 2,000 Irish Americans. Notice that these records tell us where our ancestors came from in Ireland, and where they were going to live in America. This is important, critical information that is NOT in any other passenger list source.